We strongly encourage anyone spotting any breach of practice to either engage with the premises manager or to notify the local fire brigade. Here are some examples and the cost to rectify the issues which have been sent in to Firescout. "Someone had removed that battery and not replaced it. At least it was obvious they had done it!" " " When smoke, carbon monoxide or heat alarms sound, there is a reason. If there is no fire or smoke setting it off, then it may need replacing or the battery changing. It's important you never leave the alarm unusable as they are often your first alert to a fire, especially while you sleep. "The fire alarm panel had been silenced, but not reset. Red lights were still showing." 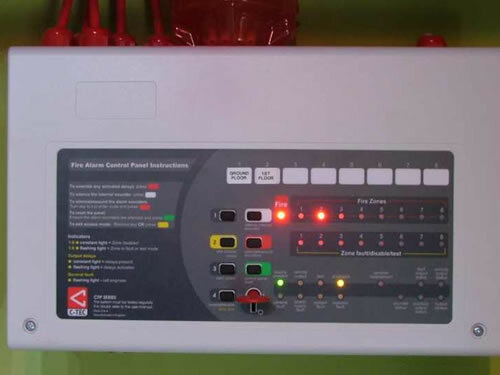 " " All fire safety devices should be used as the instructions and regulations state. A common problem in fire safety is not the lack of equipment, but the misuse of them. Be strict when it comes to maintaining, servicing and using all of them. 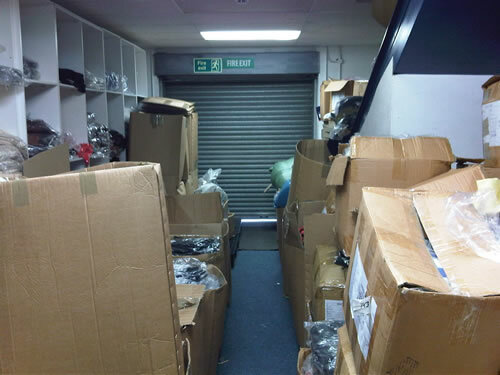 "Several fire extis were blocked with the owner stating items were in transit. He will still be prosecuted under the Fire Safety Order for a serious breach like this." " " As businesses grow, space can become limited, sometimes leading in fire safety being neglected. 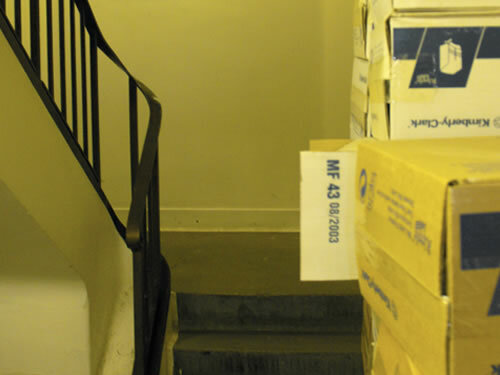 Fire exits should always be easily accessible with clear walkways and doorways that aren't blocked or locked. "I noticed that the fire resistant loft hatch was not replaced in a plant room in a care home for the elderly." " " As with fire doors, fire resisting loft hatches should always be placed back in their original position after use. They are there to stop fire spreading to new locations. 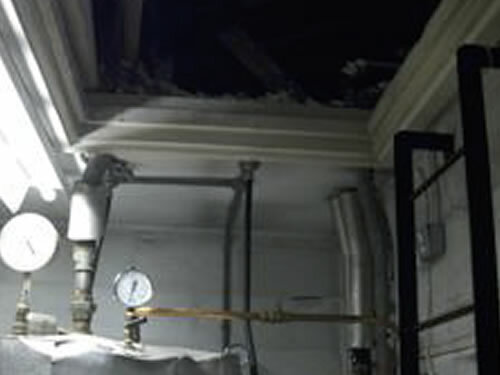 When a fire can escape through to the roof, the fire and smoke can quickly spread throughout the building, causing life threatening danger to occupants. "The filters to stop grease and fat in the ducting had been removed from the kitchen hood extract." " " Keeping any device maintained, fire safety specific or otherwise, is crucial to avoid accidents and fire hazards. 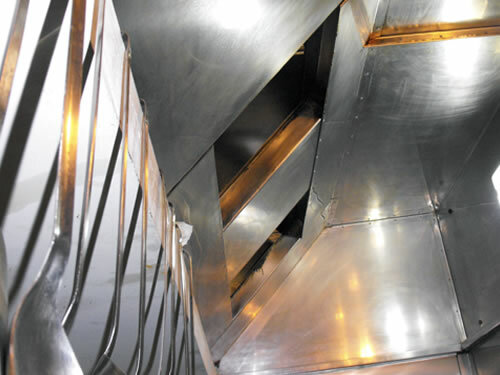 The build of residues inside vents, such as grease and dust, combined with heat, can cause serious, life-threatening fires. Service should be carried out on these devices, and they shouldn't be used again until they are back in their full working state. 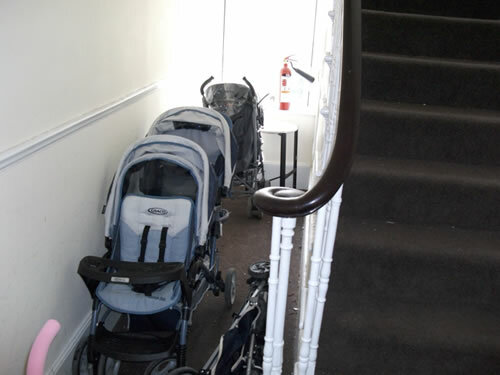 "The fire exit was blocked by numerous pushchairs and the fire extinguisher was found to be empty and not on the wall hook"
" " When escape routes are often used to store items, an alternative storage area should be provided. Fire extinguishers should be placed in the location they appear in your fire safety logbook and serviced regularly to make sure they are usable. "These items were being stored on a staircase via a fire escape route, and what's more there was evidence of smokers using the area." " " Fire escape routes should be kept clear at all times, especially when it comes to combustible items, to minimize hazards to evacuees and to minimize the spread of fire. If there is evidence of smokers using an area they shouldn't, you can consider installing a cigarette smoke detector also. 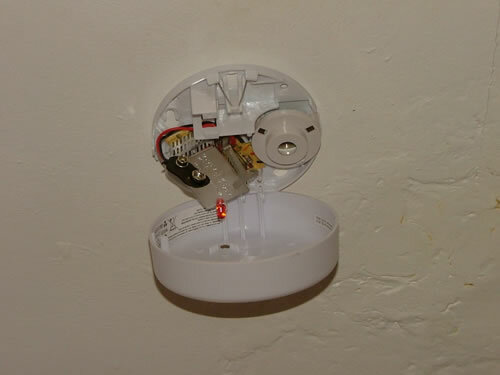 "I discovered that builders had left the dust cover on the smoke alarm after carrying out work 6 months previously." 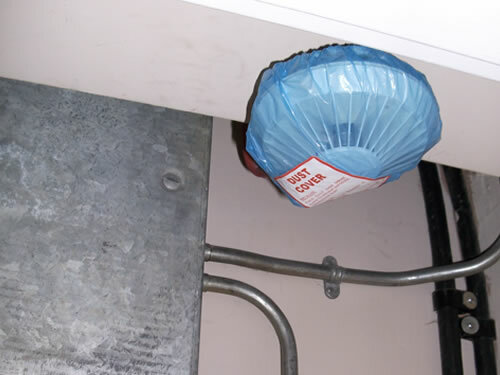 " " Dust covers can be handy while maintenance and building work is being carried out that can cause dust and trigger or clog the alarm sesnsors, but these should be removed immediately when the work is finished. Regular smoke alarm tests should also be carried out by an appointed member of staff. 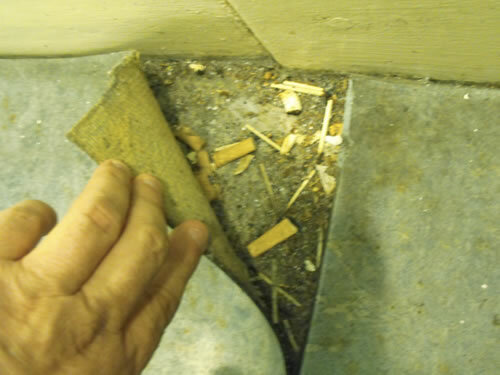 "After smelling tobacco smoke I found that residents had used a gap in the floor covering as an ashtray!" " " Unextinguished cigarette butts are a common cause of fiires. Even with fire retardant surfaces, over time the risk is increased when continually exposed to heat. If you suspect people are smoking in unofficial smoke areas, consider installing a cigarette smoke detector and applicable signage. "This extension lead exposed 3 multi-plug adaptors, each filled with plugs and more adaptors and plenty of flex, all insulated by the storage of excess files." " " Chaining multiplug adaptors is a risk in itself, but placing objects over them will heat them up and increase the risk of a fire. If these items are easily combustible, the fire will spread very quickly in to the rest of the office. 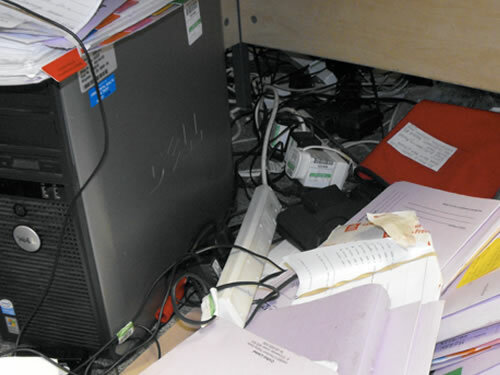 Always try to use a mains socket or a UPS where necessary, and keep the area tidy.